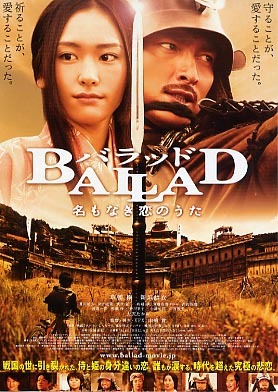 A love story between a Sengoku general (Tsuyoshi Kusanagi) and a young princess (Yui Aragaki). Matabe Ijiri is the tough general of the small region known as Kasuga in Sengoku-era Japan. His nickname is "Ijiri," which means literally ghost and he strikes fear in many people. Matabe is in love with with the Princess Renheme, who also shares feelings for Matabe, but because of their class differences never acts upon their feelings. One day, Matabe is engaged in a battle, but loses concentration. He is about to be killed when a mysterious young boy named Shinichi Kawakami appears out of nowhere and ends up saving Matabe's life. Matabe is then ordered by Princess Renheme to take care of the young boy and eventually a friendship grows between Matabe and Shinichi. Meanwhile, an arrange marriage is about to take place between Princess Renheme & the damiyo of Kitaganto (a much larger region than Kusaga). The damiyo's name is Itakatora Ohkura.